Professor Lorelly Wilson set up Chemistry with Cabbage after a career in ICI. 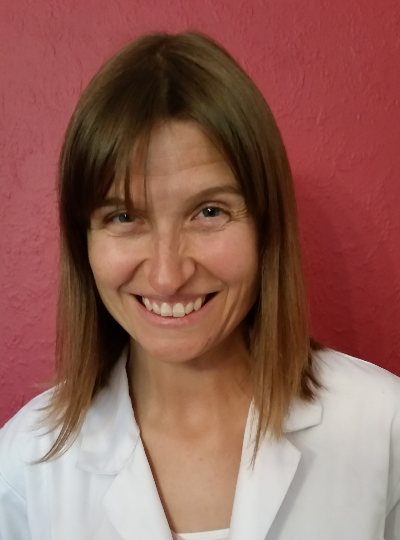 She also works with the Royal Society of Chemistry, Chester University, Manchester University, North Wales Science and the British Science Association. Lorelly was awarded an MBE for services to education in the Queen’s Birthday Honours List. She is particularly interested in science as a way of motivating disaffected students and has won awards from the RSC, WISE, BSA and CBA for this. Outside work she edits a talking newspaper for the blind and plays viola, badly but enthusiastically in amateur orchestras and string quartets. Ruth Perkins is the youngest member of the team so she relates really well to students. She did a degree in Physics, specialising in electromagnetism, optics and medical physics. 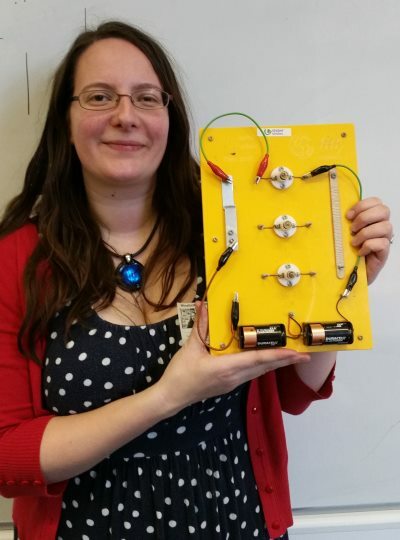 She has worked for Science Made Simple, United Utilities and MOSI (Museum of Science and Industry in Manchester) presenting science shows and the planetarium to large audiences. Recently married, Ruth is learning Japanese and takes every opportunity to visit the country. As a physicist, Ruth is well placed to deliver the electricity workshop. She also does the materials workshop Chemistry with Cabbage. Rachel Watson After a degree in Natural Sciences from Cambridge and many years teaching secondary science, Rachel had two sets of boy twins, now 9 and 11. The house is full of bikes and football boots. 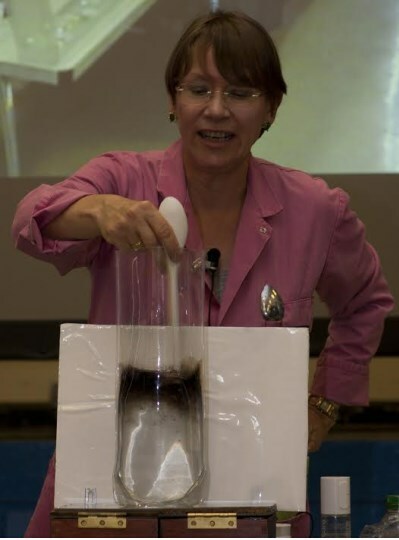 Luckily she’s come back to chemistry and loves working with young students, showing them what fun you can have with household chemicals.